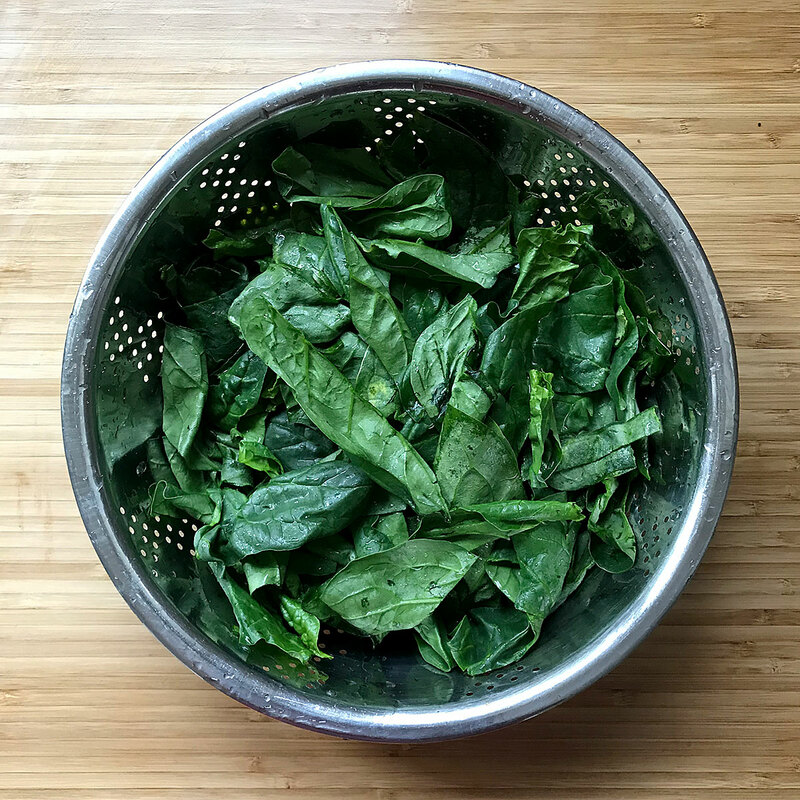 1) Remove spinach leaves from stems and wash thoroughly. Use a colander to drain extra water. 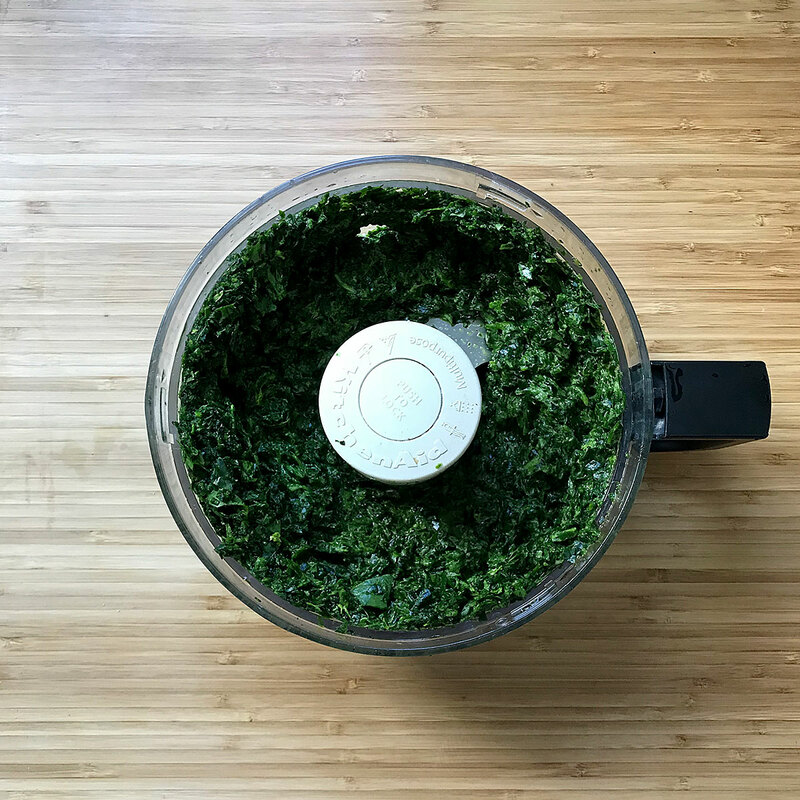 2) Place spinach leaves in food processor or blender. Add a bit of water to keep things moving. 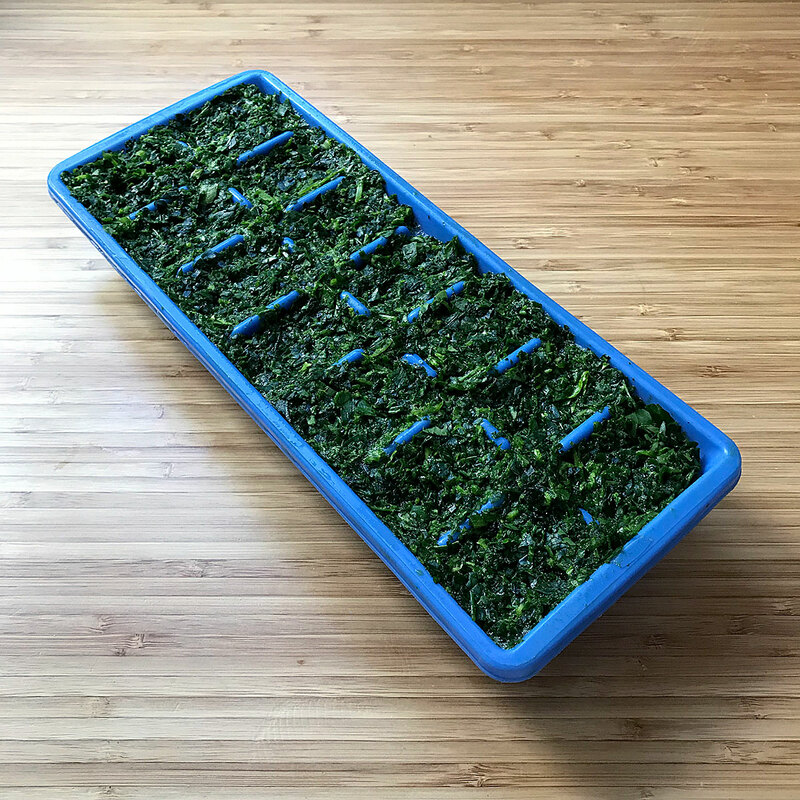 3) Press chopped spinach into ice cube trays and place in freezer. 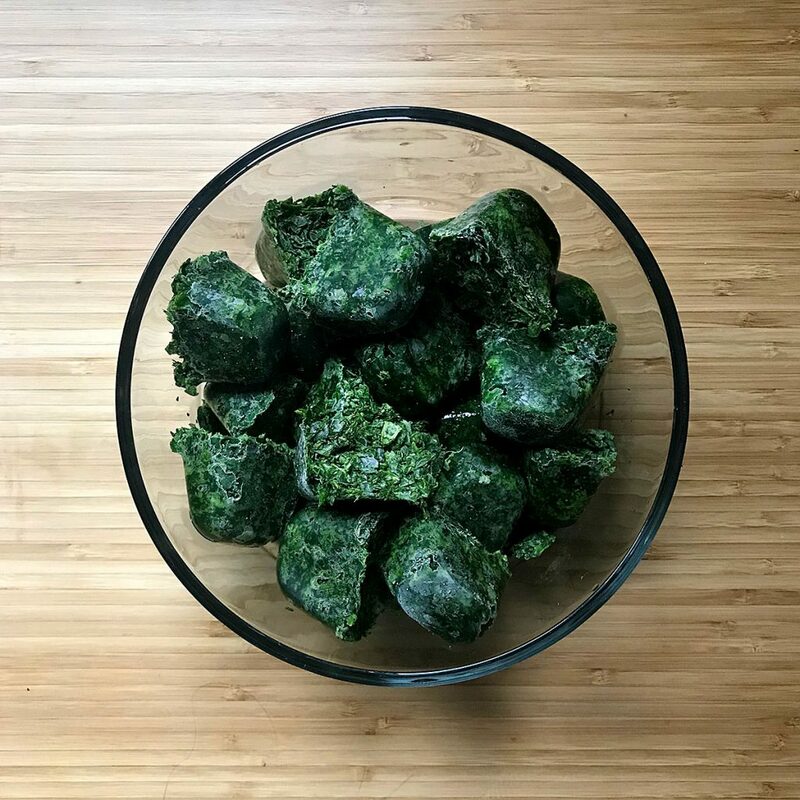 4) Once frozen, pop out spinach cubes and store in a covered glass container in the freezer. Use your frozen spinach in smoothies, soups, dips, sauces and more!